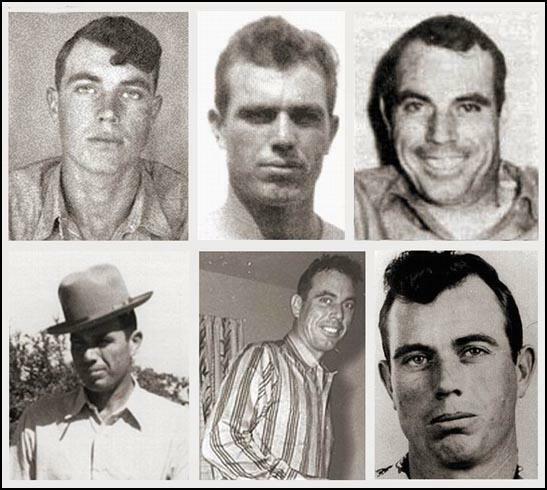 J.D.Tippit: Dirty Cop, JFK Conspirator and unwitting body double for JFK on the autopsy table? J.D. Tippit was a dirty cop who knew Oswald and Jack Ruby and a JFK assassination conspirator in a non-shooting role. Witness Gordon Arnold described encountering 2 cops seconds after the assassination on the grassy knoll. One had ‘dirty hands’ while the other was ‘crying’ and holding a rifle. One of the cops kicked Arnold and took his camera film of JFK’s motorcade. These two cops were likely Roscoe White (wearing a DPD uniform without a hat) and J.D. Tippit. Roscoe White claimed to have been one of the JFK shooters in his diary, while Tippit may have been there to keep nosy potential eyewitnesses and people with cameras away from the grassy knoll area before and after the assassination. No one can pin down his exact whereabouts until approximately 12:40 PM that afternoon, while JFK was killed at 12:30. 4 witnesses at the Dobbs House restaurant in Dallas recalled that J.D. Tippit and Lee Harvey Oswald were acquaintances and were seen eating breakfast there on many occasions. Additionally, witness Earl Crater said that he had seen Oswald, Jack Ruby and Tippit eat breakfast together at the Pig and Whistle restaurant on numerous occasions. Tippit may have been under the impression that his role would be to act as interference on the grassy knoll and then to drive the real Oswald to nearby Red Bird Airport to catch a flight out of the area. Author Anthony Summers mentioned in his book, Conspiracy, that the doomed officer may have been compromised and roped into the conspiracy after he impregnated another man’s wife. Tippit may have balked and wavered at the assignment to kill his friend Oswald when he was informed of the last minute change of plans. Witnesses reported seeing Tippit run into a records shop to use the phone around 1PM, before rushing back to his car. Witness James Andrews actually reported being cut off and pulled over by Tippit who looked in the backseat floor area for something in his vehicle(was he trying to identify his fellow conspirators?). Tippit may have actually picked up the real Oswald and driven him to the Texas Theater that day before doubling back to that same neighborhood where he would be shot and killed by Roscoe White and Oswald lookalike, Billy Seymour. The real Oswald arrived at the Texas Theater between 1:00 and 1:07 according to witness, Butch Burroughs, while Tippit was not shot until 1:15 PM. ‘It has been stated that Tippit’s body was lost for an hour and that during this time, conspirators switched the body of the dead police officer with that of the late President.’ – researcher Bill Drenas, Tippit After the Murder, 1998. ‘Liggett’s younger brother John, now deceased, was a mortuary worker in Dallas when Kennedy was shot in November 1963. A former wife of John Liggett said her husband was called to Parkland Hospital, where the president was taken after he was shot in 1963, according to the show. She said she thinks her ex-husband used his skills at preparing bodies to do something to Kennedy’s corpse.’ – Grace Murphy, The Vero Beach Herald, 3/19/05. ‘Dishonest autopsy photographs were created; skull x-rays were altered; the contents of the autopsy report changed over time as different versions were produced; and the brain photographs in the National Archives cannot be photographs of President Kennedy’s brain—they are fraudulent, substitute images of someone else’s brain.’ – Douglas Horne, Inside the Assassination Records Review Board, 2009. Some researchers have even gone so far as to speculate that J.D. Tippit was killed so that his body might be used by the other JFK conspirators to fake JFK’s autopsy photos. Tippit’s body had a small headwound , while JFK’s head had a massive headwound. The fallen policeman’s corpse matched better with the Warren Commission and Arlen Specter’s lone gunman theory while the extra set of X-rays could be used to confound the doctors involved in assessing JFK’s true wounds from multiple shooters. Additionally, there was actually a time when both bodies were at Parkland Hospital. Some even allege that J.D. Tippit’s body now lies in JFK’s grave at Arlington National Cemetery, with JFK’s corpse in Tippit’s grave in one final brazen act of defilement! Witness Robert Vinson: My flight home detoured and picked up an Oswald lookalike in Dallas on 11/22/63! Robert G. Vinson was an Air Force Sgt. working in Colorado Springs, CO in 1963. He had gone to Washington, DC in the days before the JFK assassination to formally protest being passed over for promotion. On the morning of the JFK assassination, Vinson had settled his promotion troubles and hopped a flight back to Colorado from Andrews Air Force Base in MD before being swept up into history. In Flight from Dallas, Vinson described being on an unmarked C-54 cargo plane with 2 pilots he did not speak with on his homeward flight. At 12:30PM, one of the pilots announced that JFK had been shot, and the plane suddenly made a 90 degree southward turn towards Dallas. The aircraft eventually landed on a road construction site on the Trinity River floodplain and picked up 2 mysterious passengers who were hiding near a tool shed near the landing site. Vinson described the first passenger as a tall, dark complexioned man who looked Cuban or Latino. This individual meets the description of the CIA’s David Sanchez Morales. More interestingly, however, the 2nd passenger struck the Sgt. as a spitting image of Lee Harvey Oswald! Vinson further recalled that the 2 men were dressed as construction workers wearing coveralls and that they came aboard the plane and sat up front behind the cockpit without exchanging any words to anyone. This strange flight would go on to land in Roswell, NM, where Vinson’s fellow passengers rapidly departed the plane and scattered upon arrival. The Sergeant would have to hitch a bus ride from NM to CO to finish his trip home the next morning. From here, Vinson tells of being harassed and ultimately recruited by the CIA to work on several lucrative CIA spy plane projects based out of Roswell in an attempt to bribe/co-opt him and keep him silent about the things he saw that fateful day. The aforementioned Oswald lookalike was likely accomplished Oswald impostor, Billy Seymour. He and David Sanchez Morales both lived in Arizona at the time, adding logistical plausibility.